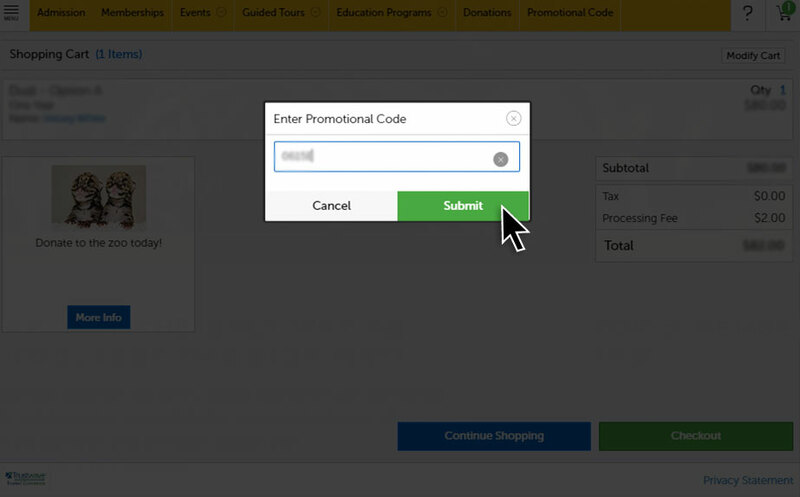 Most promotional codes require you to add the main item (i.e. 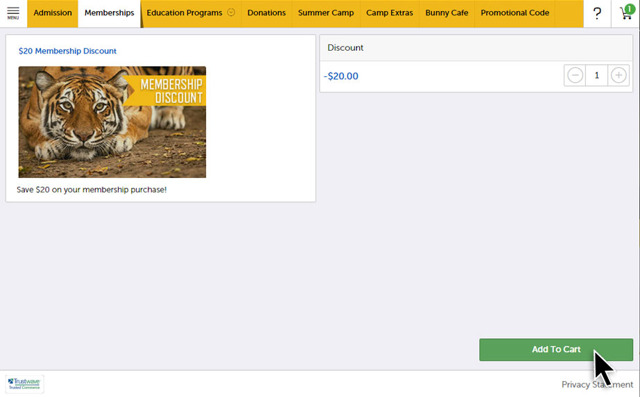 membership) to your cart before adding the promotional code. Please add that item to your cart first, then follow the instructions below. 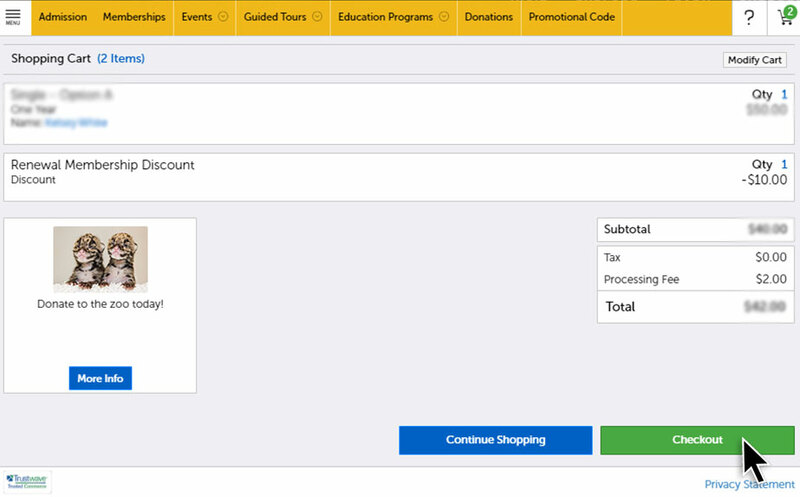 You will find the Promotional Code area within the mobile store's menu. 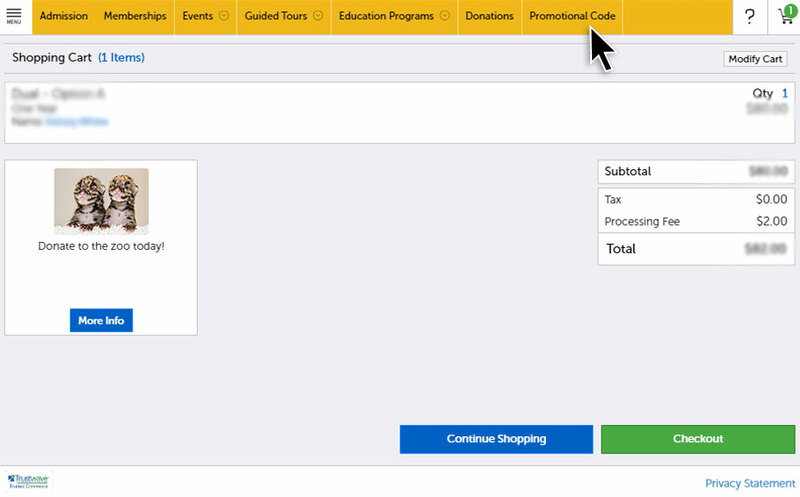 Select the menu button and enter your Promotional Code directly into the box at the top of the menu. 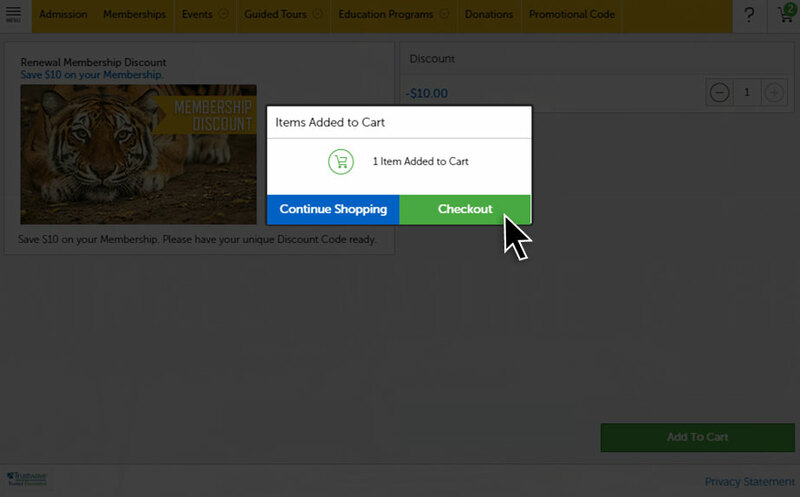 Click "Promotional Code" in the yellow bar at the top of the pop-up window. BEFORE proceeding to checkout, verify that the total amount due is correct. We cannot provide a partial refund if the amount is incorrect.